German automobile and motorcycle manufacturer BMW (the Bavarian Motor Works) began as a manufacturer of aircraft engines during the First World War, so the BMW logo, a roundel of alternating blue and white quadrants, represents a whirling aircraft propeller. The company produced its first car in 1927. By the late 1930s, BMW was building two pre-war classics, the 327 sedan and the 328 roadster. After World War II, BMW did not resume automobile production until 1951, but went on to produce the legendary 507 sports car in 1956. During the 1960s, BMW launched a series of increasingly sophisticated models. With their independent suspensions, front disc brakes, and emphasis on performance, BMW established its reputation as a maker of cars for driving enthusiasts. 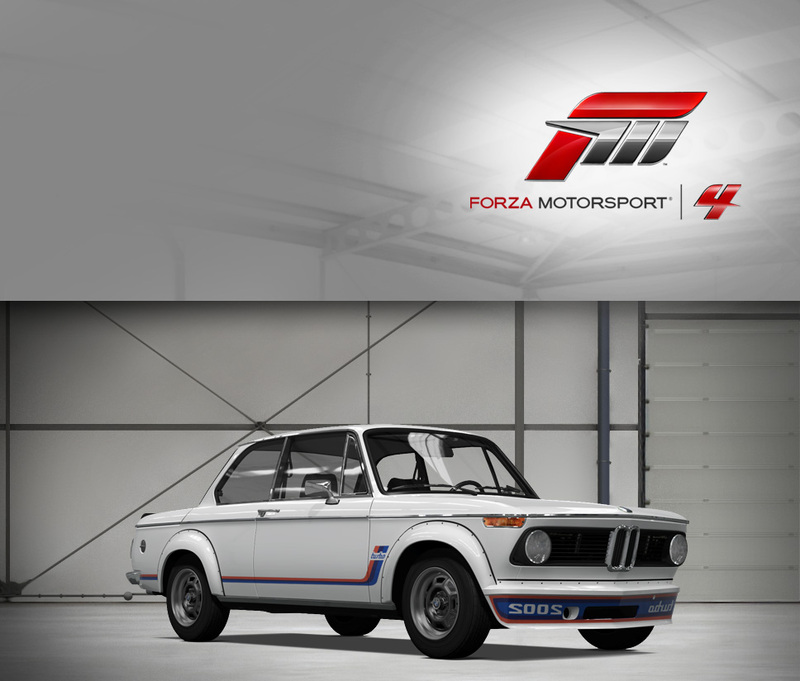 In 1972, BMW created its racing subsidiary, BMW Motorsport, which started producing the 'M' high-performance versions of standard BMW models in 1979. In 2005, 2006, and 2007, BMW won both the Drivers' and the Manufacturers' Championship titles in the FIA World Touring Car Championship. When Jeff Koons was asked to paint the BMW M3 GT2’s graceful form in a bespoke design as the 17th BMW Art Car, not only did he contemplate the works of previous Art Car collaborationists—Andy Warhol, for example—he got some seat time in past M-division models. Then he rode along for a couple of laps in the M3 GT2 itself, and the car’s staggering performance inspired the motif: the streaming lines down the sides and bursting forms at the rear suggest both savage acceleration and explosive power. Unlike most works of art, however, this piece is designed to stun both standing still and on the track—and to improve with the grime and battle-damage of actually racing, an intentional component of Koons’ design. Under the vinyl wrap, the M3 GT2 is just as impressive as any of its other siblings, with enhancements to the road car’s already potent V8 and fitted with all manner of racing parts to do battle in the ALMS series. It will be tough to miss the #79 Art Car battling through traffic, and is sure to be a favorite among both ALMS fans and Forza players. The raciest version of BMW’s executive sedan has a little secret: push the programmable button labeled “M” on the steering wheel and unleash the full fury of the M5’s exclusive new V10 engine. One hundred extra horsepower come tumbling out, the redline skyrockets to more than 8,000 RPM, and a heads-up display appears on the windshield so you can keep your eyes on the road rapidly diminishing under the deep front air dam. The transition from sports-luxury to Nürburgring-conquering monster is as seamless as it is profound. The M5 has enough programmable settings for the active suspension and electronic driver’s aids to keep every teenage computer geek on your block busy for a week, but what really matters is the ability of the big M5 to hustle from point A to point B faster than nearly anything in its class (and a few cars higher up on the food chain). It’s another engineering triumph from BMW Motorsport, and one that really needs to be belted around any of Forza’s exciting tracks, like Germany’s formidable Nordschleife circuit, to fully appreciate. It’s clear by just glancing at the newest M-division sedan at the reveal event that it’s something special. If you’ve heard the rumors that the era of increased fuel economy has finally overtaken the blazing-fast M5, know two things: the rumors are true, and you have absolutely nothing to fear. That’s because if there is a problem that skilled engineers can solve, BMW’s all over it. This particular solution involves more power, better driving dynamics, and an increase in fuel economy, all courtesy of the twin-turbocharged 4.4-liter V8. This marvel of engineering packs way more torque than the high-revving V10 it replaces, and it’s available way down low; a full 502 ft-lbs. at just 1,500 RPM. Not only is it faster to 60 mph, an entire suite of M-division goodies helping the M5 carve through the corners like a red-hot scalpel through Bavarian butter. Looks have improved too; the newest evolution of the BMW design language fits the large sedan like tailored lederhosen. The purposeful look is topped off with large alloy wheels that show off the enormous stoppers. Green-minded driving enthusiasts can rejoice at the addition of technologies like engine start-stop and regenerative braking. The M5 has always delivered furious performance in a comfortable and stylish package, but thanks to hard work and technological improvements the new M5 is better in every way. Engineering is truly a wonderful thing. By 1986, BMW’s high-performance credentials had been thoroughly satisfied with such groundbreaking cars as the M1 and the 2002 Turbo, cementing the company’s reputation as a maker of driver’s cars. 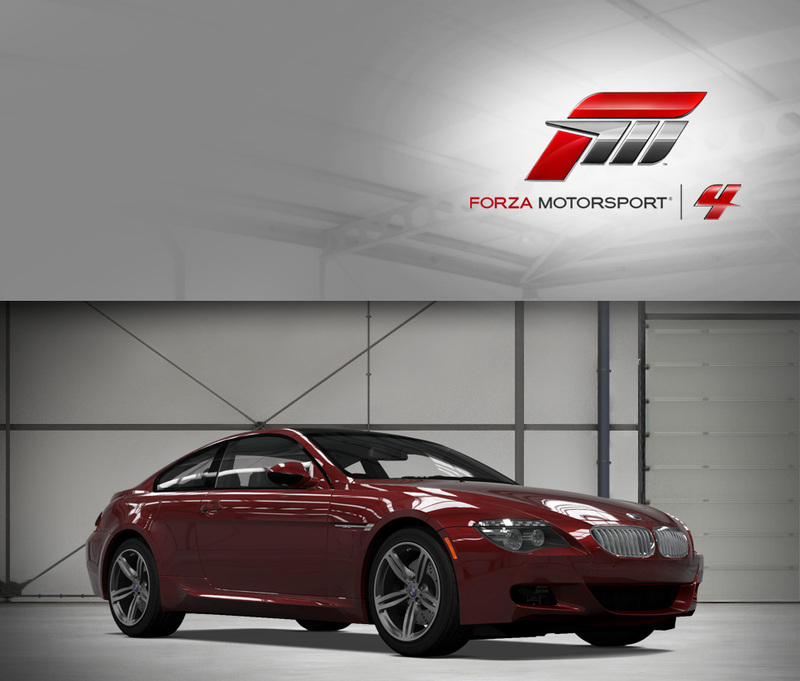 As the successor to the storied 3.0CSL, the M635CSi is a standard 6-Series on BMW Motorsport steroids. Lifting the M88 inline six from the aforementioned M1 supercar, the M635CSi is certainly no slouch. The motor is a highly developed high-performance unit good for 286 horsepower, an eyebrow-raising figure for a naturally-aspirated engine in that era of low-horsepower, emissions-controlled motors. 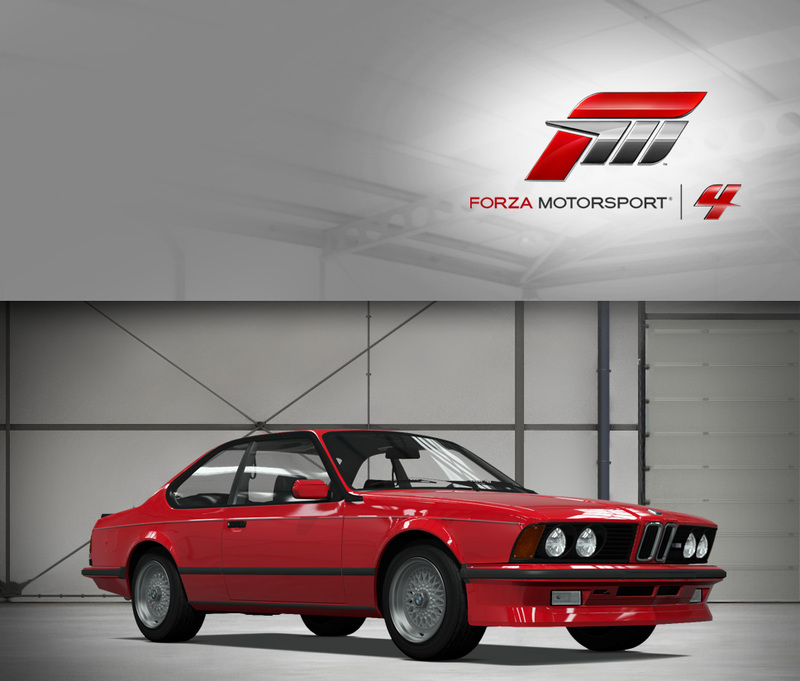 Of course, as the top-flight BMW car (the M1 went out of production several years before), all of BMW’s luxury and comfort options were available—but first and foremost, the M635CSi was made to drive hard, with BMW Motorsport suspension tweaks and larger brakes. Able to sprint to 60 mph in six seconds flat (an impressive feat in the mid-1980s), the M635SCi also had the good taste to appear relatively stock to passersby, in stark contrast to the wild 3.0CSL “Batmobiles” of the 1970s—nothing was much different outside save a different front air dam and a couple of Motorsport badges. That’s a good thing, as the “E24” six series’ sharknosed proportions are an enduring reminder of an era where this big coupe was as much a status symbol as it was an amazing driver. When introduced, the M5’s 400 horsepower (give or take a couple) brought gasps. An executive sedan with the power output of a supercar? BMW must be mad, was the general consensus. A short drive in an M5, however, will dispel any notion of a lack of capacity on BMW’s part. The M5 is a very sane exercise in moving a handsome, comfortable, and spacious sedan to extreme velocities with surgical precision. While you can certainly disable the traction control and have a smoky good time with hooliganish burnouts, the M5’s forte is pretending it’s a much smaller car than it really is. Its reflexes are taut, its brakes are among the best ever fitted to a sedan, and the engine is superb. It sounds it, too, as it breathes through eight individual throttle bodies for lightning-quick throttle response, and exhales though sweet-sounding quad pipes. Outside, the modifications over the standard 5-Series car are restrained, with alterations to the front and rear air dams, a rear decklid lip spoiler, and split-spoke alloy wheels. From a driver’s perspective, one of the best features is the excellent manual transmission, rare in this class of mid-sized sport sedans. 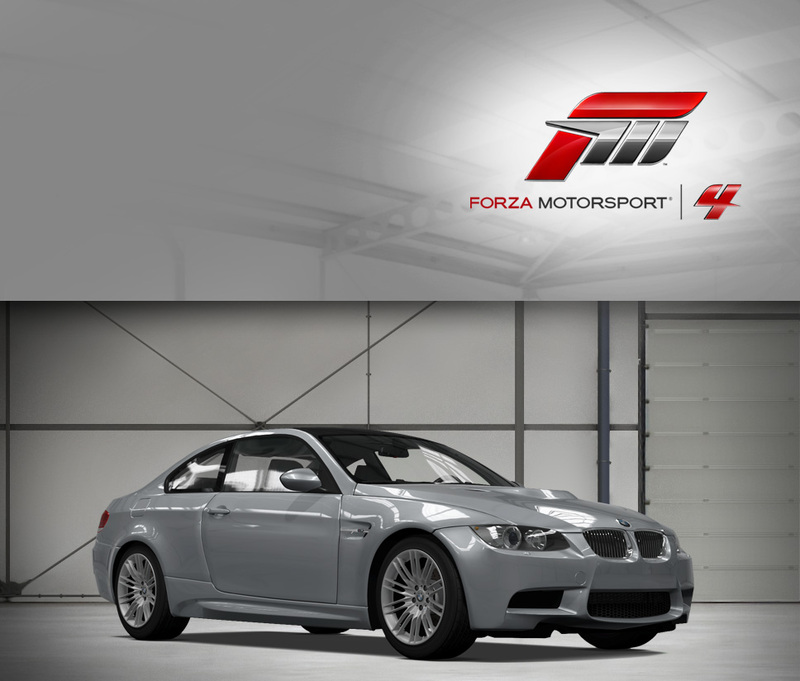 Another is the excellent M-Division tuned suspension, which puts the handling of the M5 in a class above. Few teams have a more interesting combination of owners than Rahal-Letterman Racing. Co-owned by famous late-night talk show host David Letterman and legendary CART racer Bobby Rahal, the team competed mainly in Indycar racing, but returned to ALMS with a M3 GT2 in 2008. The 2009 season gave the BMW Rahal-Letterman team their first-ever program victory in ALMS, as well as their first 1-2 finish, with the #92 car achieving a second-place podium spot at Road America. It was an impressive result for the talented team, and a tribute to the prowess of the M3 GT2, refined through ruthless weight savings and increased power from the 4-liter V8 when compared with the previous GT2 car. It looks the part, too, with a bold white livery sporting prominent BMW M-Power tri-color stripes and topped off with a bare carbon fiber roof. Whether you love or are indifferent about the 2002 Turbo, when you’re talking about this car the phrase “turbo lag” is going to come up. In the very early days of turbocharging, the technology was primarily intended for racing, where cars spend a lot of time near the rev limiter and not much time putting about town. Plug that technology into the diminutive 2002, and you have the same issue. Near the top of the engine range, the large turbo provided plenty of boost to the fuel-injected motor, enough to result in a maximum of almost 170 horsepower at 5,800 RPM. For the early 1970s, in a car weighing a shade under 2,400 lbs., this translated into a quickness that’s tough to understand decades later in the midst of a horsepower bonanza. So that’s the 2002 Turbo’s trade-off: lots and lots of power, if you are patient or skilled enough to let the revs climb. Or simply park it and admire the infamous mirror-imaged “2002 Turbo” script on the huge front air dam, bolt-on fender flares, and iconic tri-color striping. Don’t park it too long though, this BMW is most at home on the track. This factoid will tell you a little bit about why the X5 M is so special: it has the largest front brakes BMW has ever fitted to any of their vehicles, ever. Those huge binders, 15.5” in diameter, are there to reign in the exorbitant velocities this newest addition to the BMW Motorsport family can achieve by tapping into the gargantuan power available from the twin-turbocharged 4.4-liter V8 under the hood. 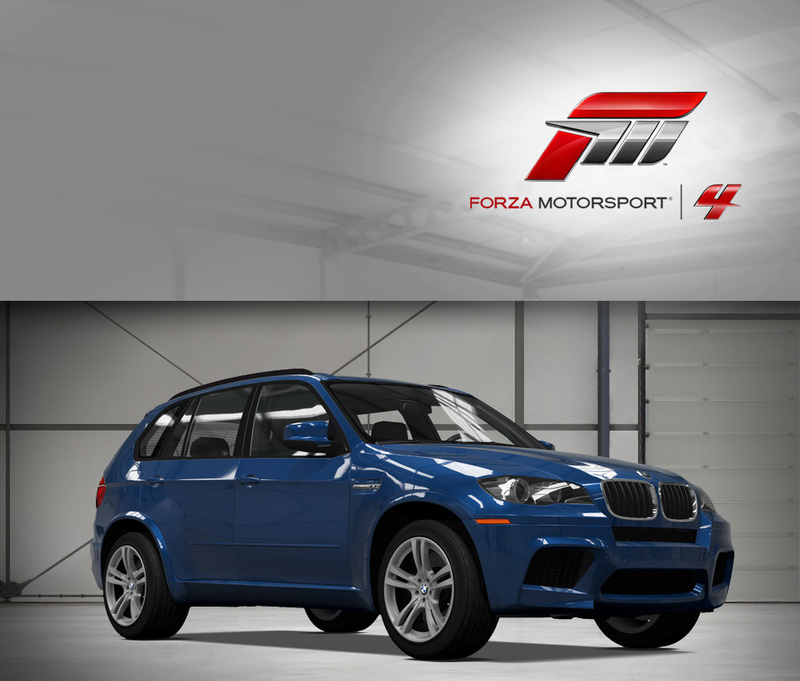 Even though no one would claim the X5 is a small vehicle, the 547 horsepower on tap mitigates any weight penalty the X5 may have by propelling it to 62 mph in an astonishing 4.7 seconds. 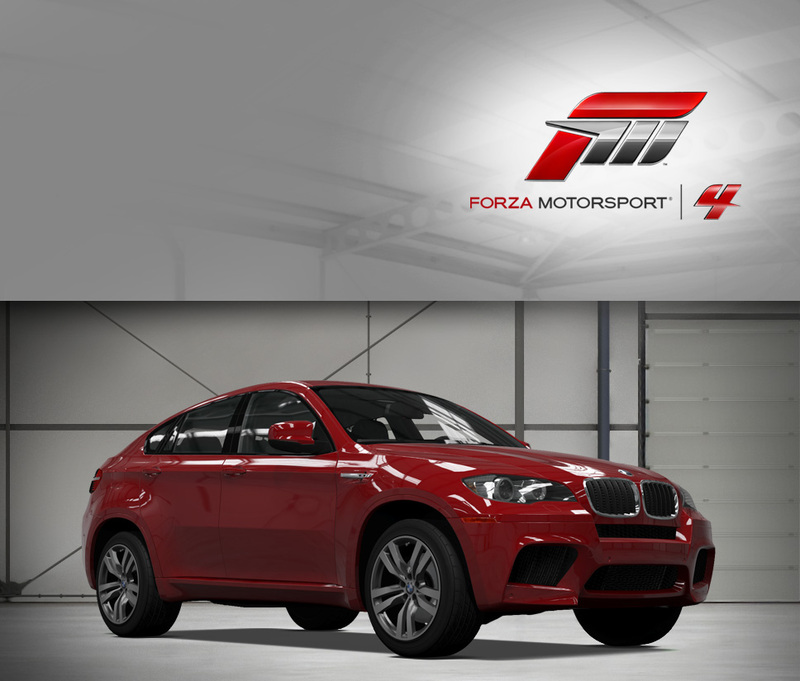 While the forward progress the X5 M makes is easy to admire, it’s the agility of the big “Sport Activity Vehicle” that really sets the X5 M apart from the competition, with a laundry list of innovative M division suspension upgrades and driver assists to bring BMW’s signature sportscar dynamics to the X5. Whether it’s driving the X5 M or admiring its aggressively tweaked lines, the X5 M is a SUV that thinks it’s a sportscar, and has the moves to match. As if the Z4’s lines didn’t already work well enough on the street, the Z4 GT3’s be-winged, diffuser-ed, NACA-ducted exterior takes it up a notch. 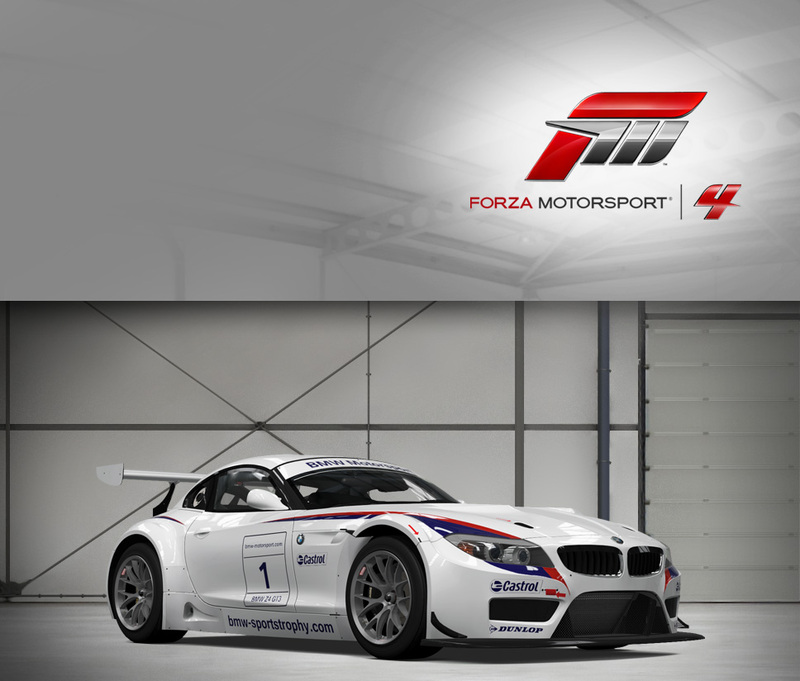 In some ways, the Z4 GT3 represents the perfect front-engine, rear-drive race platform. Its body is partly made from carbon fiber and tightly wrapped over the mechanical package, with the driver’s compartment set well to the rear. Instead of the street version’s inline six, the GT3 gets the 4.4-liter V8 lifted from the M3, which sends 530 horsepower towards the rear tires hunkering under massive fender flares. As you would expect from a BMW designed to be sold to privateer racers, every system is optimized for the track. 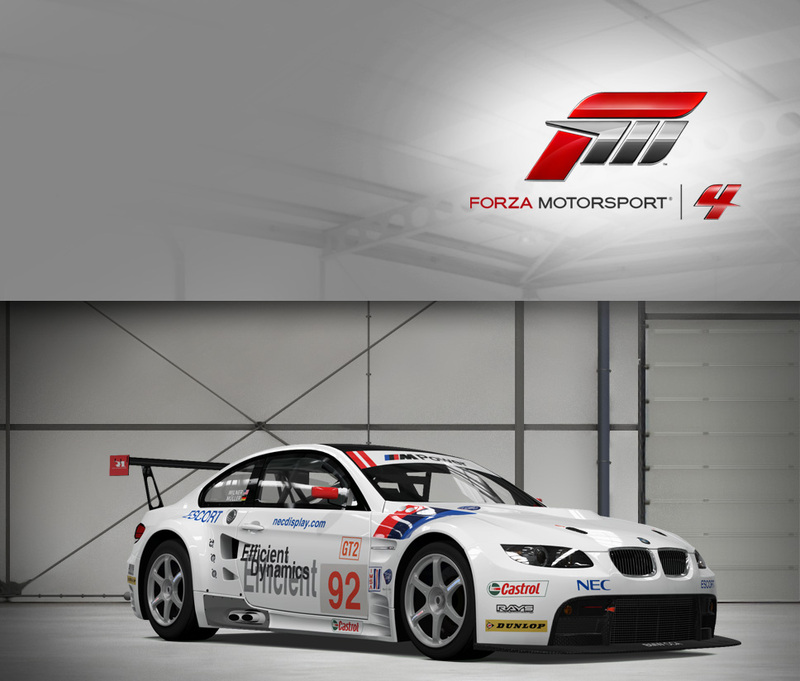 The Z4 GT3 has already been quite successful, winning the Dubai 24 Hours race outright in early 2011. In the 1980s, you might have been forgiven for thinking that BMWs were simply status symbols for affluent young yuppies worldwide. But by 1984 (or in North America, 1988), that had all changed with the introduction of the M5. The second 5-Series tuned by BMW’s M-Division (the first was the E12-series M535i of the late 1970s) makes a formidable impression at first sight, even today. With all of the trim blacked-out (including the window surrounds), and particularly when painted a deep black, “sinister” and “purposeful” are accurate descriptions. More important than how it looks is how it drives, and that story starts under the hood. BMW plucked the high-performance M88 inline six cylinder from their stable of high-performance engines. The twin cam M88 was developed for the M1 supercar, and in the M5 it produces 286 horsepower out of 3.5 liters with the help of six individual throttle bodies for incredible throttle response (and wonderful intake roar). It’s a motor that thrives on revs, with peak power right around redline, so keep your momentum up at the exits—a technique assisted by the M5’s improved anti-roll bars and a trick self-leveling suspension system. While the M5 founded a dynasty of mid-size Bavarian super-sport sedans that have gotten successively more powerful, the original M5 has a unique charm that will shine through and clearly demonstrate why the original is in some ways the best. The star-crossed BMW M1 is a surprisingly accomplished late-1970s supercar, considering its long and difficult development. 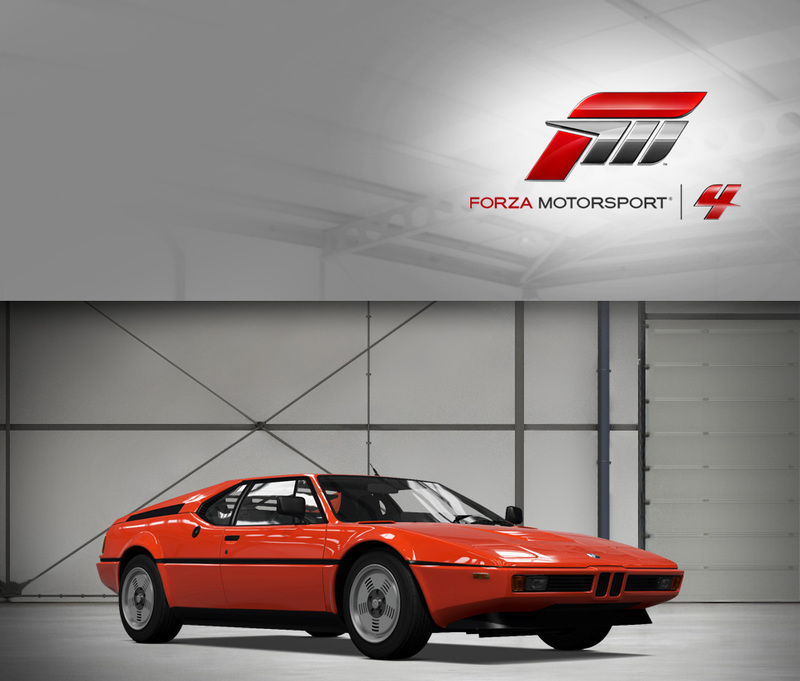 Dynamically, the M1 is excellent, with a superb chassis paired to a jewel of an engine—a powerplant that essentially founded an M-Division dynasty single-handedly, finding a home under the hood of the M635CSi, M5, and that inspired the first M3’s powerful four cylinder. BMW started with a winning design—their Paul Bracq-penned Turbo concept car—and that aforementioned M88 inline six cylinder DOHC motor, and intended to take the M1 racing in the FIA Group 5 “special production” class. But disaster tailed the M1 like a tough rival drafting behind. Lamborghini was engaged to help design the chassis, but their bankruptcy after constructing seven prototypes put a damper on BMW’s plans. The delay in finding a new constructor, Baur of Germany, meant that by the time the M1 was rolling off the production lines to homologate the car to race, Group 5’s rules had already changed. Instead of simply giving up, BMW creatively repurposed the M1 as a one-make race, Procar, and the M1 thrived under competition development to produce huge power figures from the M88 engine. Unfortunately, despite the exotic engine’s power and sound, the M1 lacked prestige in the eyes of the well-heeled buyers it was intended to appeal to, and just 456 left Baur’s Stuttgart assembly plant. What contemporary buyers missed was the M1’s poise, balance, and power—it is quite simply one of the best-driving cars of its type and vintage. The 135i is no 2002 Turbo revival—and that’s a good thing. Sure, it’s smaller than the 3-Series it shares its basic structure with, but it also is robust enough to pack its big sibling’s twin-turbocharged inline six. The 3-liter motor produces more than enough power for the short-wheelbase 135i, boasting such modern conveniences like direct-injection and quick-spooling turbos, which make the driving experience less of a chore than its finicky forced-induction ancestor. In fact, the 135i is downright simple to motivate quickly, and with its diminutive proportions it’s a nimble handler. It also sounds absolutely phenomenal, often an afterthought in turbocharged engine design (turbos tend to quiet the exhaust and engine sounds). With powerful brakes and competent (but compliant) suspension, the torquey 135i is adept at dispatching miles of twisty roads with little drama. While most people’s first impression of the BMW Z8 was watching it get sawn in half by a helicopter in the Bond film “The World is Not Enough,” enthusiasts’ first caught sight of the retro-chic roadster at the Tokyo Auto Show in 1997, where it was purely a design exercise called the Z07 Concept celebrating the 50th anniversary of the BMW 507. That original V8-powered, aluminum-bodied roadster is exceedingly rare, as BMW only produced a few hundred of the gorgeous design (penned by the famous German-American stylist Count Albrecht Goertz). The response to the homage was so enthusiastic that BMW decided to go ahead and build it, and thankfully the production car is almost identical to the lines Henrick Fisker created for the concept. While the Z8 is flush with classy retro touches like the banjo-spoke steering wheel and the center-position gauge cluster, the performance is entirely modern. Underhood is the unparalleled drivetrain of the BMW M5 of the same era, meaning the Z8 has the same 394 horsepower to play with—but the Z8 is also much lighter than the M5, being made primarily of aluminum. So if the Z8 didn’t already have enough going for it, with stellar looks and unbeatable pedigree, it is also the fastest and best handling BMW built up until its introduction—no small feat, and a perfect tribute to BMW’s often-underappreciated sense of style. “Shooting break” is an unusual and archaic term for a two-door wagonette, and while the Z3 M Coupe is certainly unusual, its driving dynamics couldn’t be considered archaic by any definition. Rather than apply a simple notchback design to the coupe version of the popular Z3 roadster, BMW engineers seeking additional structural rigidity out of the Z3 chassis decided on the unique shape of the Coupe. Developed behind closed doors lest management kill the project before the engineers could polish it to their liking, it is to BMW’s credit that when the covers were pulled back, BMW brass gave the Coupe the green light. Like the M Roadster, the Coupe borrows its powertrain from the E46-generation M3—a 315-horsepower inline six whose lusty sound and lightning-quick throttle response are legendary. Unlike the Roadster, the Coupe is nearly three times stiffer, so cornering is greatly improved. With the short wheelbase and loads of power on tap, it’s also easy to step the back end out at will, although the suspension is still relatively compliant for off-track comfort. Dial in some stiffer suspension settings and there are few cars as well-balanced, nimble, and enjoyable to drive than the M Coupe. The first generation M Coupe, the Z3 M Coupe, was a highly competent sportscar that blended power with excellent handling, although aesthetics were perhaps an afterthought. For the new M Coupe, a sharp-edged, creased, aggressive shape was designed under the watchful eye of Chris Bangle, BMW’s well-known former design chief. Instead of the shooting brake-inspired roofline, the M Coupe adopts a fastback shape that descends back to an integrated rear spoiler and seriously flared rear fenders. Under the hood resides BMW’s excellent inline six, making 343 horsepower and allowing the Z4 M to charge to 60 mph in just under 5 seconds. Suspension tuning is as you’d expect from a BMW sport coupe—firmness and composure in corners, but suppleness on rough tarmac. It’s a worthy successor to the original M Coupe, and a sportscar worthy of respect in its own right. Whatever BMW’s new naming nomenclature lacks in elegance, the Z4 makes up for it by providing an engaging and unique driving experience that includes such gee-whiz features as an “overboost” function for the twin-turbocharged 3-liter inline six. While it’s no Z4 M (it doesn’t share that model’s weight-saving features and uses Z4 suspension and braking components), it’s certainly a very quick enhanced version of the base Z4. 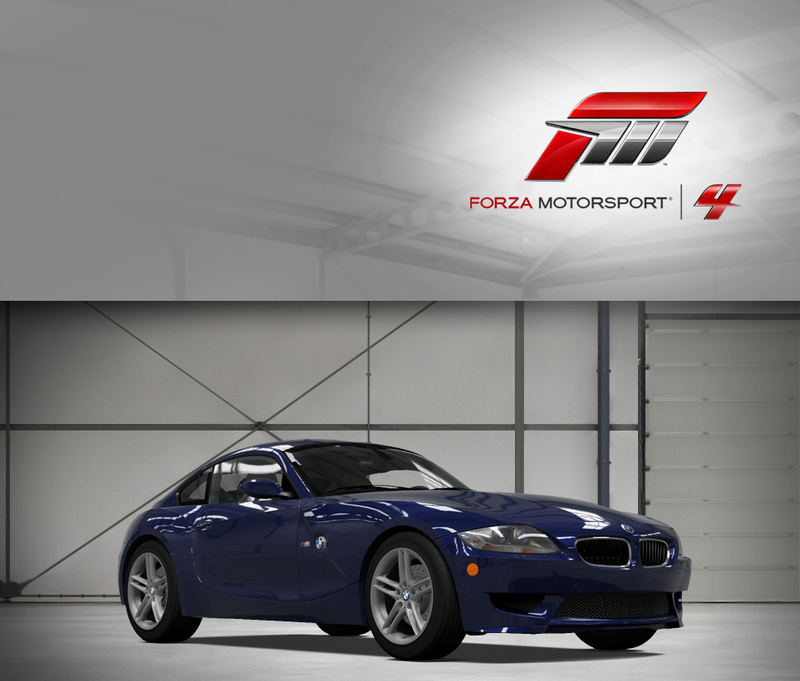 The “sDrive” part of the name indicates that this Z4 is rear-wheel drive, and the “is” indicates that the suspension is slightly improved, as well as the car being equipped with the “M Sport” appearance package (which is different from the bodykit on the Z4 M). Confused? You shouldn’t be—the bottom line is that with 335 horsepower on tap and adaptive suspension to keep the car planted, this is a fast coupe that also looks great wearing the sleek second generation Z4 lines. It’s a standout, despite the complicated name. With its unique combination of coupe-like lines and the same capabilities of the X5, an SUV that defies conventions for on-road handling, it’s perhaps no surprise that the X6 has undergone a similar M-Division transformation to the X5 M. Handling motive duties is the same excellent 4.4-liter twin-turbocharged V8, which provides 555 horsepower effortlessly and without drama and almost entirely without lag. That allows the X6 M to hit 60 mph in well under 5 seconds, an impressive feat for what can’t be denied is a large vehicle. Interestingly, unlike many other M-Division cars, the X6 handled fairly well, so only minor revisions to the suspension are required—mainly, stiffer versions of the same units. Incredibly, cornering performance is also superb. 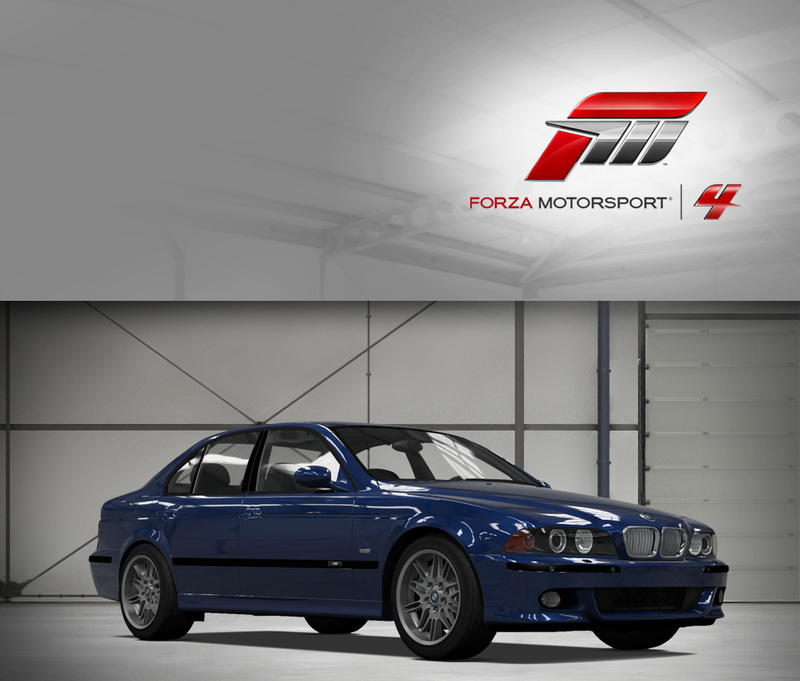 Remember the “E46” generation M3? Well, the X6 M can lap the notoriously difficult Nürburgring circuit faster than that very quick car. Surprised? You shouldn’t be, as BMW seems to be able to make any of their lineup go very quickly with a wave of the “M” wand. Times change. First, the M3 ditched the manic inline four for a six cylinder powerplant. Now, with the fourth-generation M3, BMW is leaving the straight six by the wayside and turning to a 4-liter V8, derived from the V10 that resides under the hood of the then-current M5. Pair the high-revving (peak horsepower, 414 in total, is available at 8,300 RPM) with a chassis weighing less than 100 lbs. less than the outgoing model, and it’s clear that the M3 isn’t just going to perform well—it’s also going to be very entertaining to drive. That proves to be the case, as everything that was great about the M3—poise, balance, and driver feedback—is still there, just to the sound of a wailing V8. In case you get too excited about the rapid forward progress of the M3, huge binders allow you to slough off speed enthusiastically. Be aware, though, that while the M3 is fast at low RPMs by any objective standard, this car is happiest near redline, so keep speed up and you’ll be rewarded with great performance and the sounds of a happy motor. With the demise of their partnership with McLaren as the F1 GTR was reaching the end of its racing career, BMW decided to delve into open-cockpit prototypes. The first attempt, the V12 LM, was underdeveloped, but this subsequent LMR version fixes many of the issues with the earlier car. The chassis is provided by constructor WilliamsF1, and the engine is a derivation of the same 6-liter V12 found in the racing versions of the McLaren F1 GTR. A simple car in theory, the carbon fiber open monocoque is very lightweight, and with a proven engine the car was incredibly quick during its career, with this #15 car winning the 24 Hours of Le Mans outright in its first year of racing to provide BMW with their first win as a principal (rather than just as an engine supplier). 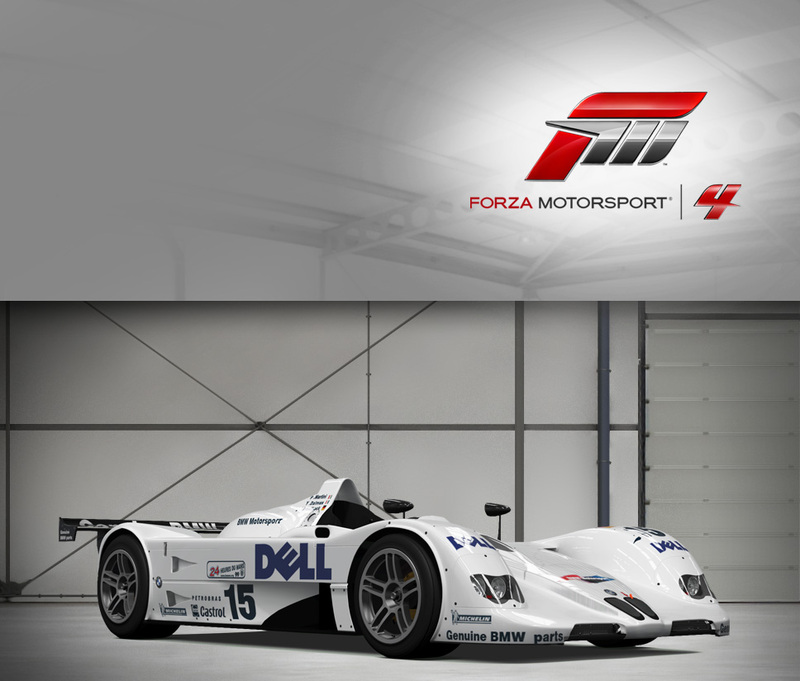 Mission accomplished, the V12 LMRs went to compete in ALMS racing and BMW went into Formula 1 with WilliamsF1. The closest thing to an M8 BMW ever developed will not only knock you back in your seat at almost any speed, it will do so with the style and refinement that only a BMW provides. In 1995 the 850CSi was BMW’s ultimate driving machine. The car came with a 5.6 liter V12, included sleek reshaped bumpers and an improved suspension with electronic enhancements such as stability control. The car’s V12 doled out more than 400 foot-pounds of torque and 372 hp. As part of BMW’s Art Car program, American artist David Hockney created a bold pop art-inspired print design on the 850CSi; making it the fourteenth BMW model to be honored in this way. So as a canvas for design or for delivering stunning performance on the track, this luxury sport tourer is art in motion. 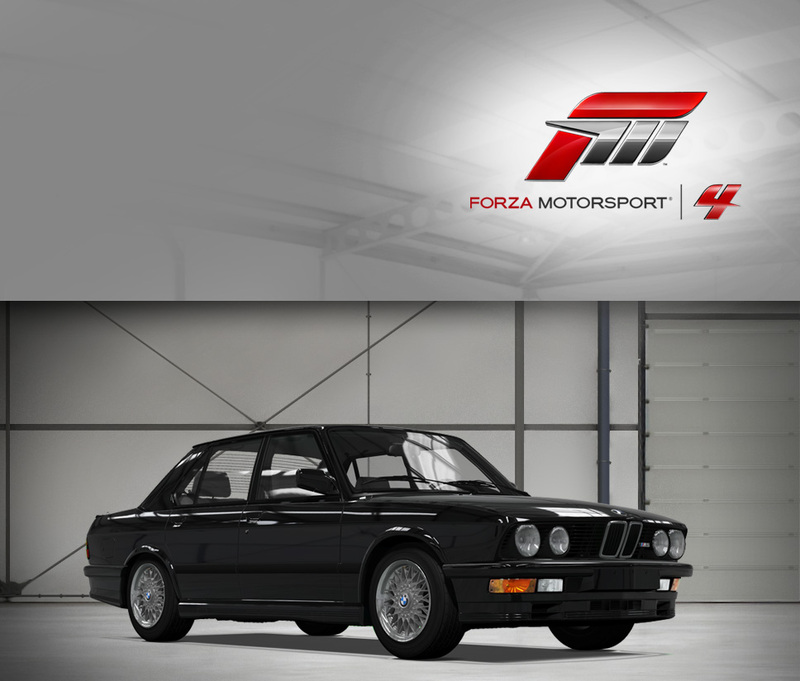 The 1995 BMW M5 represents the last year of the E34 series. This was the fastest production saloon car in its second evolution. It embodies both luxury and performance like no other car of its time. 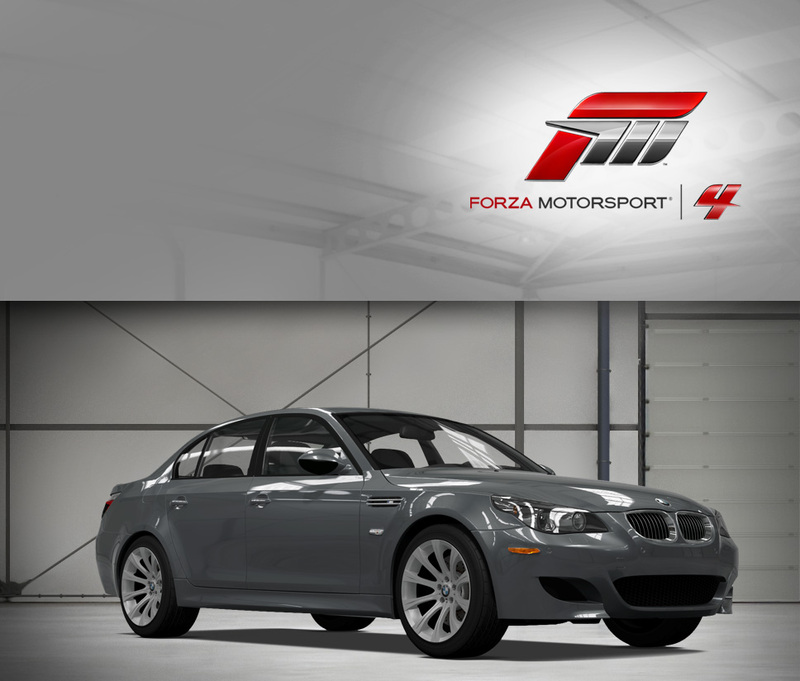 The M5 was hand assembled and designed for the BMW owner that wanted to lead the pack in a 4-door luxury sedan. While never well suited to the track due to its excessive weight, the M5 is the ultimate touring car. The quick-revving, 3.5-liter, 24-valve, straight-6 engine delivered north of 250 horsepower and the 6-speed transmission was one of the few available in the mid-1990s. Together with its stiffer lower suspension the car’s performance will rival many sport coupes in its class. 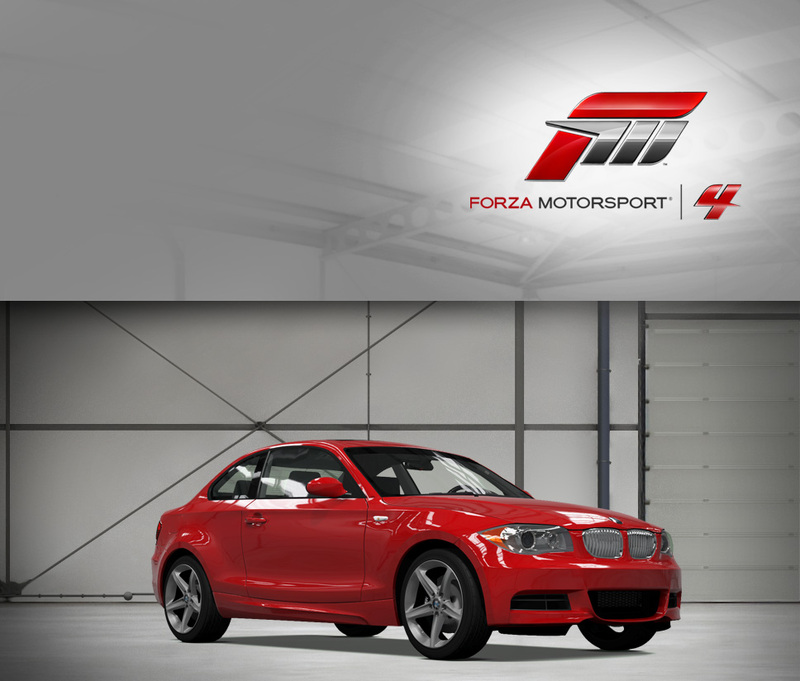 These cars are highly sought after by BMW enthusiasts; find out why in Forza 4. Only 252 of these sleek and sensuous cars were built in an attempt to fill the gap between the Mercedes-Benz 300SL and the much more affordable MG’s and Triumphs of the era. The beatific lines were penned by Count Albrecht Goertz who designed the earlier 503. These cars were hand-built and, even at a price of $11,000, BMW was losing money selling them. However, the car made a statement for BMW and, when the likes of Elvis Presley bought one, production remained worthwhile. The 507 is powered by an overhead-valve, aluminum-block, 3.2-liter, V8 with dual-carburetors. Total horsepower is about 150. Power is transferred to the wheels through a four-speed transmission. Hydraulic front-disc brakes and an independent suspension with dual A-arms control the cars speed and handling. The 507 could do up to 136 mph depending on what final-drive ratio was ordered and 0-60 was an impressive 8.8 seconds. The chances of seeing a 507 anywhere outside of a museum these days are pretty slim, so take it on the track in Forza 4 and experience the next best thing.